Brendon Hartley driving for Toro Rosso during practice at Yas Marina Circuit in 2018. He won’t compete for the team this year. Goals are inherently aspirational. Kids want to go to the Olympics. Everyone wants to be the best, despite knowing only a select few ever are. Goals in Formula One, however, are completely within logical confines, even if it makes them sound the opposite of impressive. Just look at Honda, which wants to have the third-best engine in F1 by the start of the 2019 season. There are only four engine suppliers in the series. Honda just wants to be No. 3, and, while that might sound from the outside like a lame goal that the supplier probably shouldn’t admit out loud, it’s all Honda can shoot for right now. It’s realistic—so realistic, in fact, that Honda had this same goal for the end of the 2017 season. It wasn’t reached. “We are not really keen to say a specific time, but Mercedes and Ferrari have loads of knowledge of the grey areas [of the rules], so they are still ahead of us,” said Yamamoto. Honda introduced two engine upgrades in 2018, both of which resulted in better performance, but the second initially came at a cost of durability as it battled gearbox oscillations. 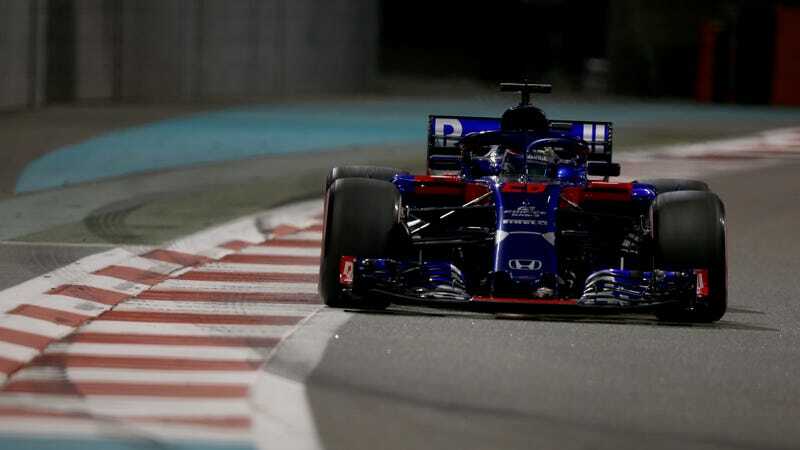 Pierre Gasly then suffered an oil leak in the season finale in Abu Dhabi. Honda, which has mostly been a reliability and performance disaster since it came back into F1 in 2015, made some improvements last year, as mentioned by Motorsport.com. Those improvements were enough to lure in the third-ranked Red Bull team, which dropped Renault for Honda for 2019—given, Red Bull and Renault didn’t have the most rosy of relationships before the split. Motorsport.com wrote that Honda’s optimistic about getting better before the 2019 season, although it’s “still trying to improve its reliability.” But neither Honda nor its new F1 darling, Red Bull, expect reliability to be flawless. They just want to work on catching Mercedes and Ferrari, which will take a while. If anything, though, Honda’s ability to make realistic goals is inspiring. Even if the person or team next to you won’t settle for anything less than world records and sports superstardom, it’s alright to aspire to become only the second worst at something—as long as you’re improving. Maybe this year, Honda will.